Each year we welcome 60 + volunteers to our summer camp program. Without the help of these gracious individuals, we would not be able to fulfill our ministry’s calling! There are quite a few ways to get involved during the summer season and year-round. Each camp session is staffed primarily with volunteer counselors, under the supervision of a program director. Responsibilities include but are not limited to: staying overnight with campers, helping to implement the schedule and activities, being an active participant, and positively influencing the lives of campers. Do you have a God given talent or ability that could bring a new, exciting opportunity to the Innabah Summer Program? Would you like to run a week-long session of camp doing just that? Contact Michael Hyde at director@innabah.org to discuss this opportunity. All new camps that are approved would be for the following season. It is through volunteer work groups from churches, scouts, schools, and the community that we can make much needed improvements to our facilities. Have a project in mind? Contact us today! It is through God’s grace that we can continue our ministry here at Innabah. It is through your prayers that God hears the impact His grace has made. If you are 18+ and sense that God is leading you here to serve, please submit a volunteer application today (online application is available by clicking HERE)! All volunteers must submit the following background checks: State Police Check and Childline Check (links are provided below). 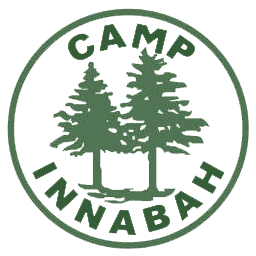 Thank you for your interest in volunteering at Innabah this summer! If you sense God leading you here, please contact the office at 610-469-6111 or director@innabah.org. Below you will find links to documents that will help you as you prepare for the summer.